To browse our current breaks, go to www.MOJOBREAK.com! Follow us on Twitter (@mojobreak_com) and Instagram (@mojobreak_com) too! 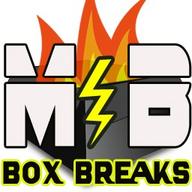 Mojobreak.com was founded in 2010 with the intent of providing entertaining sports card box/case breaks. We do 20-30 group breaks every week and now offer personal boxes for sale! Check out our current schedule on www.mojobreak.com!